Announcing the first ever Grrl on Grrl Merch Contest! It’s official… The First Ever Grrl on Grrl Merch Contest is AFOOT! The featured bands were kind enough to donate enough of their music and merch to make TWO prize packages, which means you have a better chance of getting some great tunes and GRRRL CRED. Fun While You Wait – Devon Moore was the very first interview for the podcast and she will always hold a special place in my heart for that. Without her enthusiasm and support, I’m not sure where I would’ve started with this project. Fun While You Wait is a super fun pop rock band featuring Devon on vocals and ukulele. Our passion for ukuleles spring free in the inaugural episode, and Devon continued on in her ukulele evangelism by organizing the UkeFest on the east coast, featuring other ukulele artists. Gloomsday – For episode five released this past summer, I joined Lori Sokolowski in her air conditioned living room where we bonded over Tecates and enjoyed the company of her dog Dorian. From playing bass and guitar in The Rosalyns and LadyParts to furiously drumming in Gloomsday, Lori has her hands in all sorts of genres. Blackberry Tongues – I met Los Angeles-based musician Lauren Davis when she played in San Diego with her band Blackberry Tongues. Since most of the band members met while attending college to study music, you know that they are absolutely passionate about the art–and you’ll be able to tell the first time you throw on their album. Their unique sound comes from collaboration from the chemistry, skill, and precision of each classically-trained member, and I won’t believe you if you say you aren’t immediately impressed by their ethereal, soul-surrounding music. 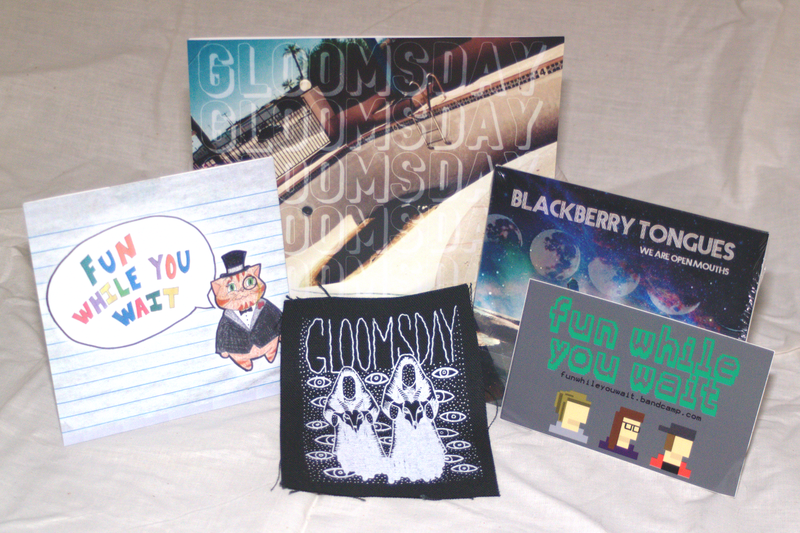 So you’ve got a chance to win one of two great packages from three amazing bands! How could you resist? Follow @grrlongrrl on either Twitter or Instagram–or both for a total of two entries. CONTEST DEADLINE IS SATURDAY, APRIL 30 AT 11:59PM. I’ll randomly draw TWO winners using random.org and announce the winners on Sunday, May 1st. THIS CONTEST IS OPEN TO EVERYONE. Each contestant gets a max of two entries–one on Twitter and one on Instagram. 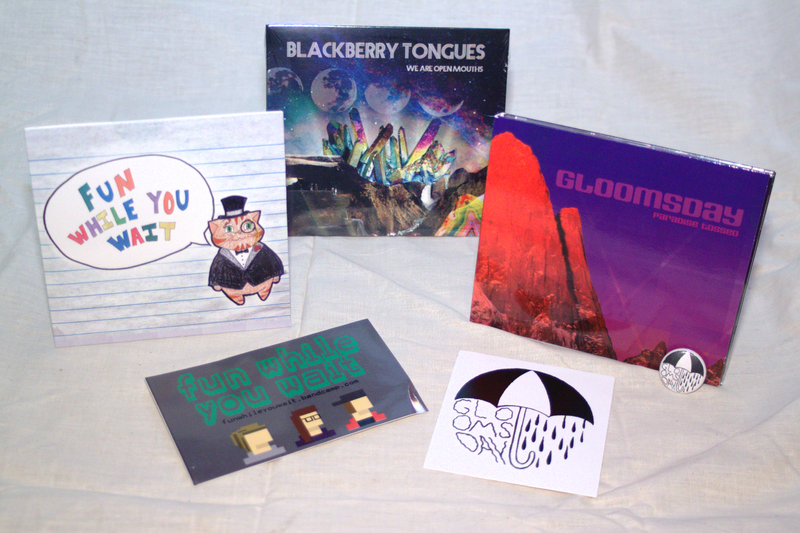 To receive your winning package, you must be able to send me your mailing address. Thank you for all of your support! And I hope you’re as excited about the future of Grrl on Grrl as I am. Good luck!